Phyllis actively continues her love of work on Environmental Issues and Women's Athletics. Read about her Legacy of Experience. Listening / Helping All of Us. 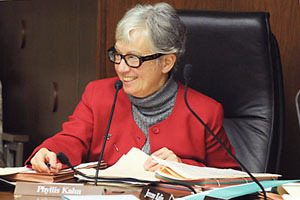 Phyllis's Vision: "How we will continue to improve the quality of life for all Minnesotans." Your participation in elections strengthens the democratic process. Voter Resources: Register to vote online, find where you vote, request an absentee ballot and other voter resources.